McDonald's Corp. (MCD - Get Report) restaurants of the future are almost unrecognizable. In Tuesday's conference call, McDonald's President, CEO and Director Stephen J. Easterbrook said its Polish eateries provide a look at the company's plans for the future. Easterbrook called the eastern European nation the company's "incubator market," since its restaurants there have adopted all aspects of the fast-food chain's "Experience of the Future," or EOTF, at once. "Experience of the Future, or EOTF, as we call it, fundamentally changes the way customers interact with our brands," Easterbook said in the call. "We're providing an experience that is more personal and less stressful, matching our best people with technology platforms like self-order kiosks, digital menu boards and table service. 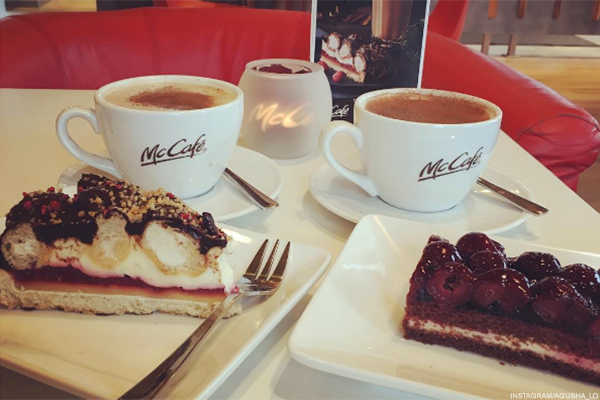 Changes in the layout of our dining rooms and service areas create better customer flow and give us the ability to enhance our McCafe and dessert business." 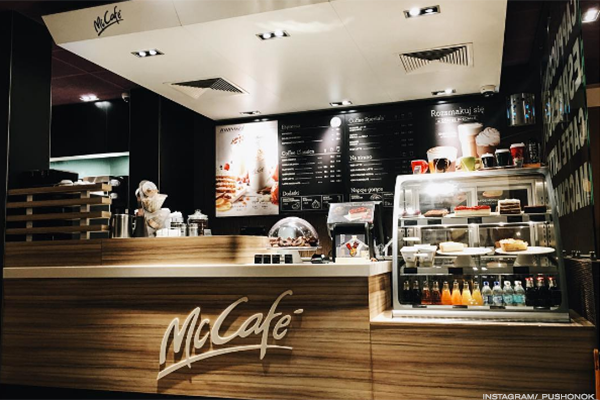 McDonald's has introduced some aspects of its EOTF such as McDelivery in the U.S. and other markets, including Canada and Italy. The Golden Arches also wants to be your afternoon snack go-to. 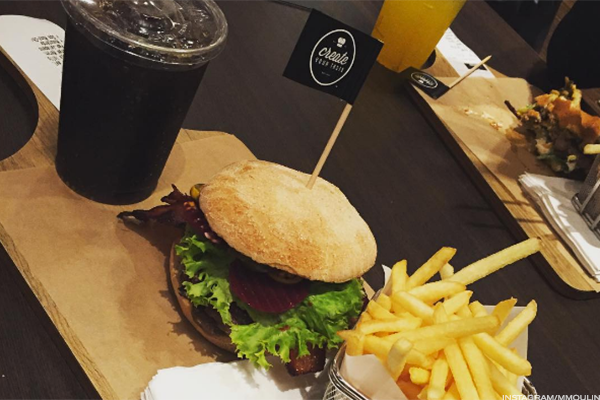 Would you try its newest menu lineup? "[EOTF is] making a difference for customers and for our business," Easterbook said. "Comparable sales and guest counts in [Milan and Catania, Italy] are above the market averages and in line with the mid-single-digit sales lifts that we have seen in other markets that have made progress with EOTF deployment." In the U.S., McDonald's same-restaurant sales increased 3.9% in the second quarter, versus the 3.1% expectation on Wall Street. Globally, they rose 6.6%. McDonald's shares fell 0.4% to $155.26 early Monday afternoon. "We're building a better McDonald's, and more customers are noticing," Easterbrook said in a statement. Here is what that "better" McDonald's is shaping up to be. 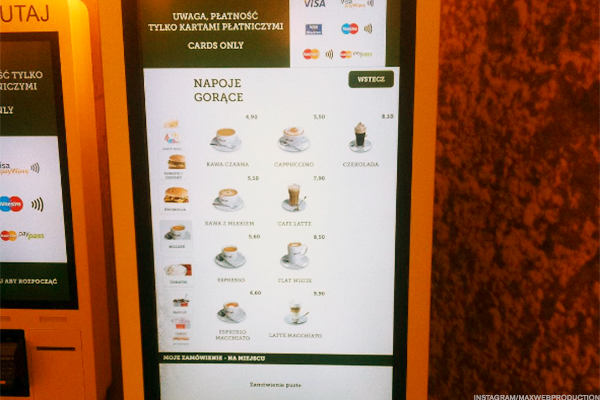 Like a giant smartphone screen, McDonald's locations in Poland feature checkout kiosks with touchscreens, allowing people to order by themselves and pay with a credit card. McDonald's, however, does not completely abandon person-to-person ordering. 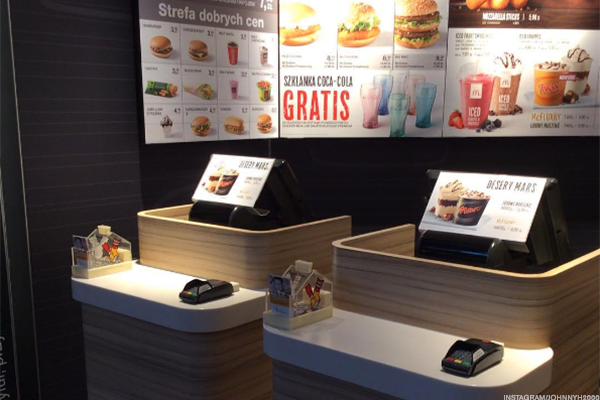 At some Polish locations, however, it does ditch one single counter top seen in many U.S. eateries for individual ordering stations that give a minimalist feel. No, this is not a Starbucks Corp. (SBUX - Get Report) coffeehouse. 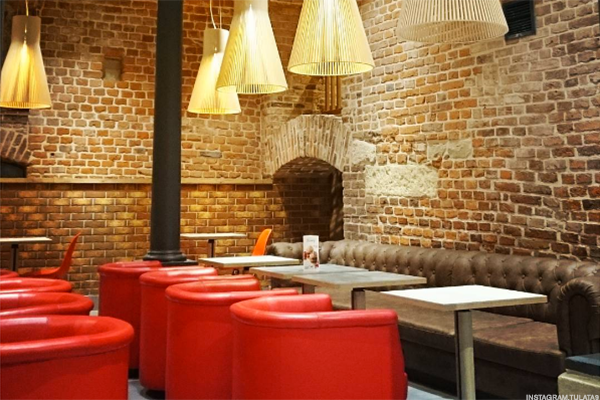 Polish McDonald's features a coffee shop-style bar for barista-made beverages that also displays some beautiful baked goods. Wood You Like to Eat Here? Pictures of the space make the restaurant look spacious and comfortable with bench and booth seating as well as curvy, modern chairs. 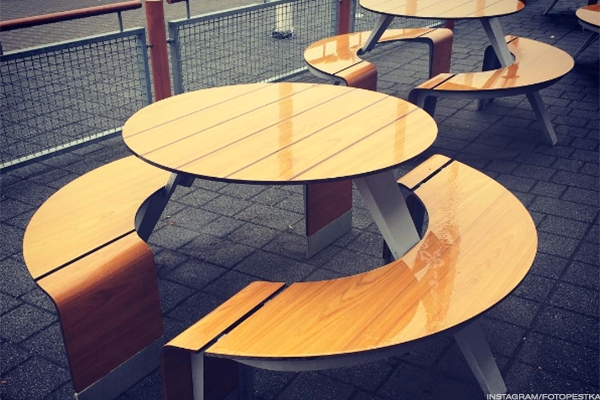 Plus, the space is covered in wood and not tile, providing a sleek, natural and updated design. 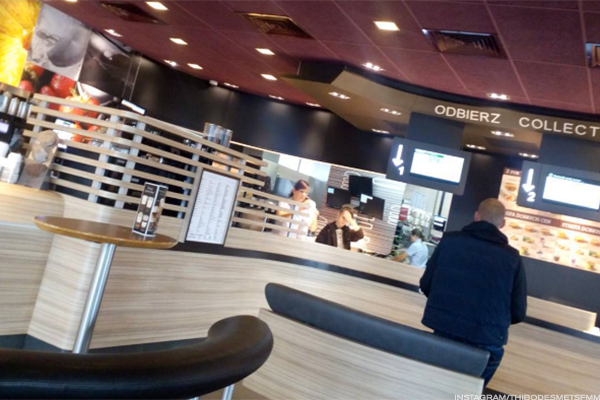 Many of the McDonald's locations in Poland have an outdoor seating space. While probably not great for the winter months, the area seems like a good way to enjoy nicer weather while catching some shade under patio umbrellas. Can EOTF Come With the Menu? Easterbrook did not mention anything about adopting menu items from the Polish restaurants, but its line of Maestro burgers sure look appetizing. The Fresh DeLuxe beef burgers feature natural emental cheese, lobster, tomato, cucumber, red onion, mayonnaise lemon sauce and spicy tomato and paprika salsa. Meanwhile, the Maestro Grilled Cheese includes a beef patty, two bacon slices, a portion of grilled camembert cheese, cheddar cheese, pickles, roasted onion, mustard and ketchup. Plus, McDonald's serves the sandwiches on a wooden slab with little flags rising from the bun -- how cute. Special sides include fried cheese rounds with asparagus flecks inside and onion and black pepper crispy wedge fries with cream sauce. Plus, Polish restaurants offer a line of blueberry desserts as well as espresso and cappuccino pick-me-ups.